Sadly, this post is not dedicated to Chanel or Louis Vuitton. Gone are those days. But rather my love (ok, obsession) with labeling all the things. 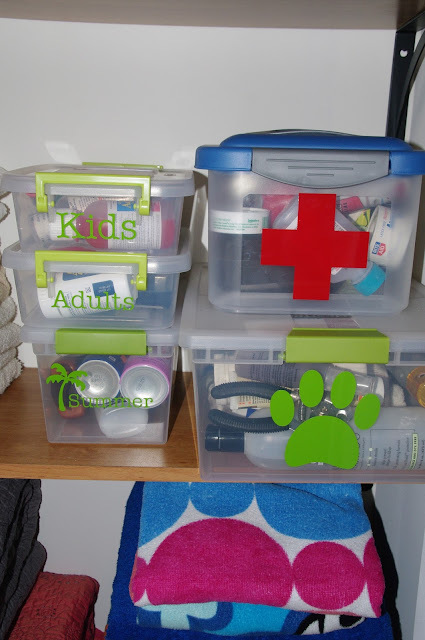 When I was pregnant with Harper, I went through an obsessive period of cleaning and organizing. Since I didn't have the option of going through a "nesting" phase when I was pregnant with Quinn, I kind of went a little nuts this time around. Here is just a peak at some of the things that have been labeled around these parts. My new favorite way to label, thanks to Jen! Washi tape and clear label tape! I just made these in Photoshop and ran them through the laminator! Took literally 5 minutes. Also? Girlfriend's got too many clothes. And there's another rack underneath. And of course the Silhouette, which labels everything I can't use my label maker for. My trusty Silhouette helped me organize my linen closet. and dog supplies are all in one spot. I cut tags out of cardstock and just used baker's twine to tie them to the baskets. These hold our sheets and blankets. And obviously an iron. Anyone else have an obsession with labeling things? Or perhaps a husband who asks where things are just one too many times? Sidenote: Labeling does not help with said husband.